Even the most robust garden furniture cushions will lose some of their spring over time, and month after month facing the glorious summer sun will eventually fade even the boldest hues. Why not give your Landgrave furniture an instant facelift with new replacement cushions? Our Landgrave furniture replacement cushion range boasts an extensive collection of durable, tailored replacement cushions for patio seating, allowing you to update everything from chaise lounges and sofas to love seats and dining chairs. You can view the Landgrave furniture fabric swatches here. Picking a hue that works for you and your space is important. Landgraves Spectrum Solids range offers a stunning array of choice of block colours, from vivid tones to softer, gentler shades. Bright, sweet Kiwi will add instant tropical zing to your patio, while Daffodil will bring a permanent sunshine glow to your garden. If you prefer a richer, darker palette in your garden, Coffee and Sierra are classy choices. Or perhaps you like your outdoor furniture to blend in subtly into the background, allowing your blooms and foliage to take centre stage; in this case, softer, lighter neutrals such as Mushroom, Sand, Dove and Eggshell will work best. 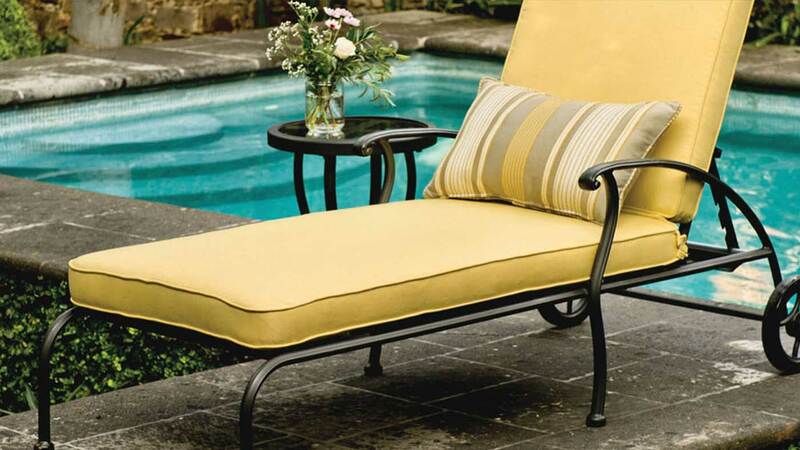 Our Landgrave replacement cushions come in a range of choices, from block colors to striped patterns. The latter can add a wonderful touch of symmetry to your patio dcor. 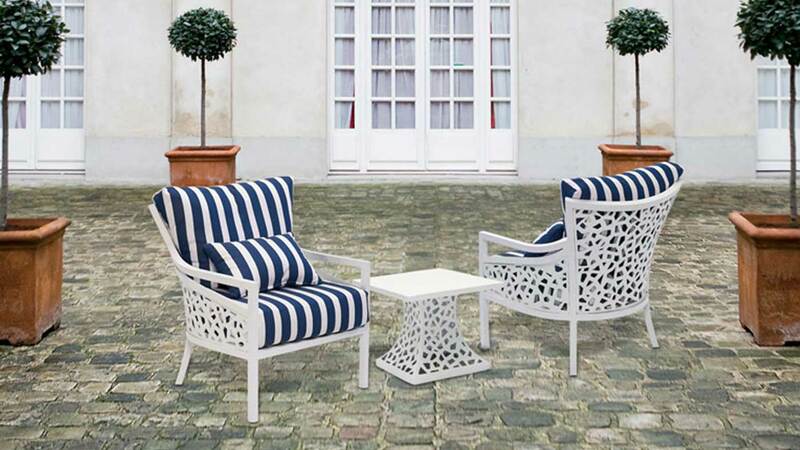 Shore Regattas blue and white choice has an instant coastal allure, while Calvert Oaks teak and honey pattern boasts subtle, august elegance that will really pop against garden greens. Why not mix-and-match your replacement Landgrave cushions, pairing stripes and blocks in pleasing contrast? Or use them in combination to break up the space, with block colors for larger seating areas and striped cushions on standalone seating, for a bold statement look? Color and style are important, but texture can also be key when it comes to patio dcor. 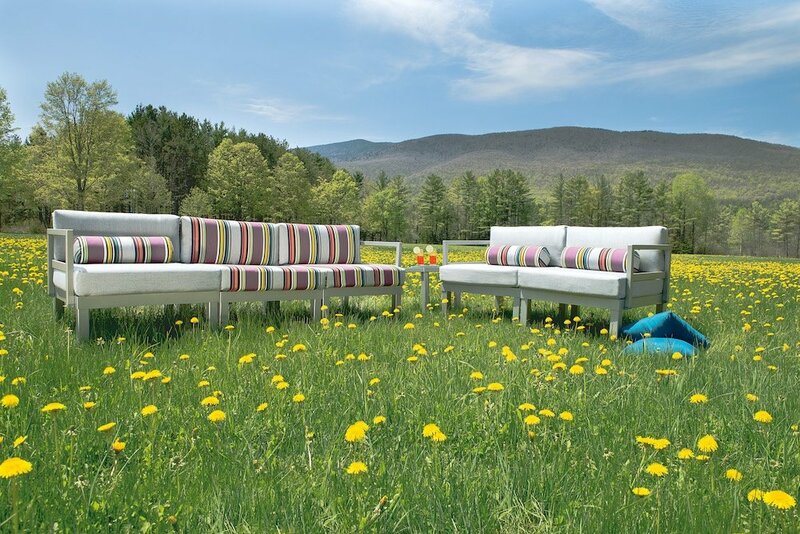 Give your Landgrave garden furniture a tactile quality with options from the Canvas, Dupione Ribbed and Volt Solids ranges. Or you could even go for a patterned finish like the intricate floral design of the Bessemer fabric. Whatever you decide on, updating your Landgrave cushions will guarantee youll be in style and comfort the whole year round. 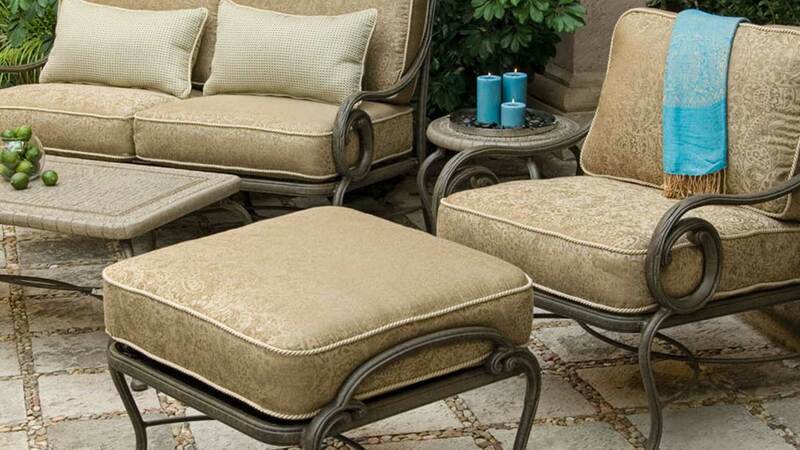 Browse the full selection of Landgrave furniture replacement cushions today.